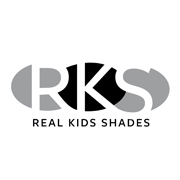 Real Kids Shades is a company that is working alongside of Prevent Blindness America to protect children's eyes from the sun. Their selection of sunglasses are made specific to a child, so they fit great and are made to last. unprotected exposure to the sun’s harmful UV rays. Real Kids Shades provide 100% UVA/UVB sun protection. These aren't scaled down adult glasses, or toys that you can pick up at your local five and dime. These sunglasses are made to protect little ones from infant to age 12 while they are enjoying life as a child! There are several style choices in each age group, as well as color selections. They come in their own case with a clip in the corner to hang on your backpack or beach bag for safe keeping. With 2 children in the 7-12 age range it worked out great that Real Kids Shades sent two pair for our review. They love them!! They have been so good about remembering their sunglasses when we go to the park and outside to play. We have discussed the importance of wearing sunglasses for protection of their eyes, just like we wear sunscreen. These glasses are durable, comfortable and super cute! Summer is here! Enter to win a pair of Real Kids Shades on Jubilee Reviews! I'd pick the Flex Duo Shades in Purple/Pink. I like the Real Kids Shades Xtreme Convertible Kids Sunglasses in blue. I would get my daughter the Flex Shades 3 - 7 Years in Purple! I'd choose the My First Shades 0-24 Months in Pink Daisy. I'd choose the Flex Duo (Age 3-7) in Black/Red colors. I would choose the pink flex glasses for my daughter. I would get the Fabulous Shades 7 - 12 Years in white. I would get my son the Xtreme Element 3 - 7 Years in red. I would get the Flex in pink 3-7 yrs old. I would get the Xtreme Chill!